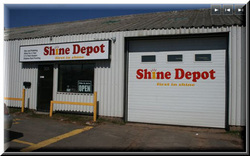 "We are really good at what we do"
Shine Depot , formerly Shine Factory, has over 20 years experience in the automotive detailing and car care business. We work on all vehicle makes and models. Our products and services are recognized island wide for exceptional quality and satisfaction. Call today for a free consultation on your detailing and undercoating projects.